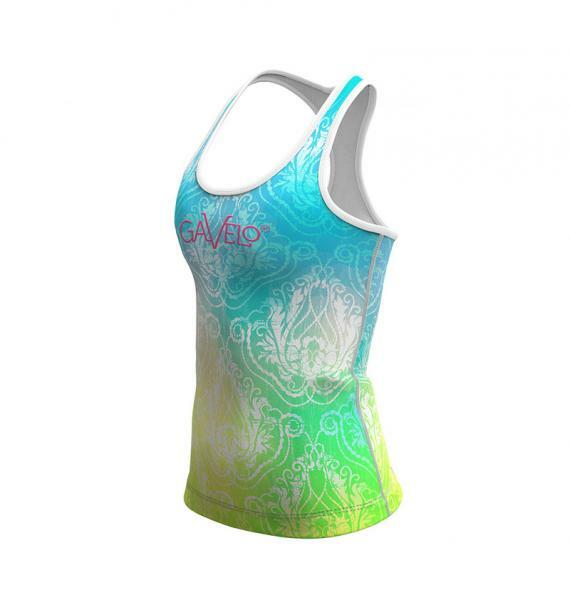 A beautiful winding floral pattern in green/yellow/blue. 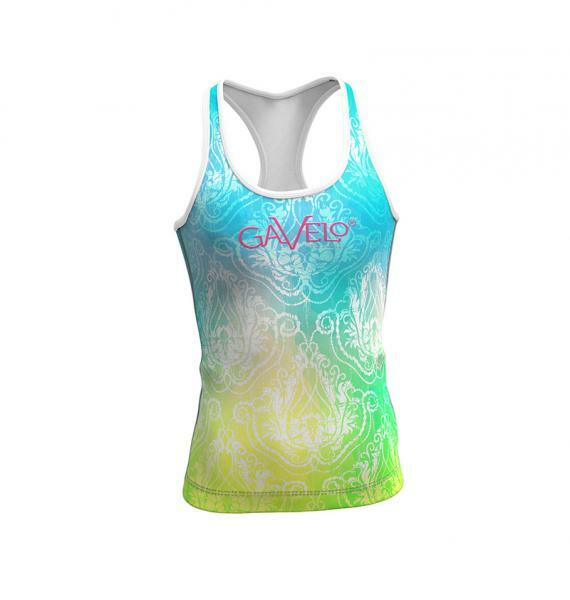 Gavelo logo in pink on the chest. 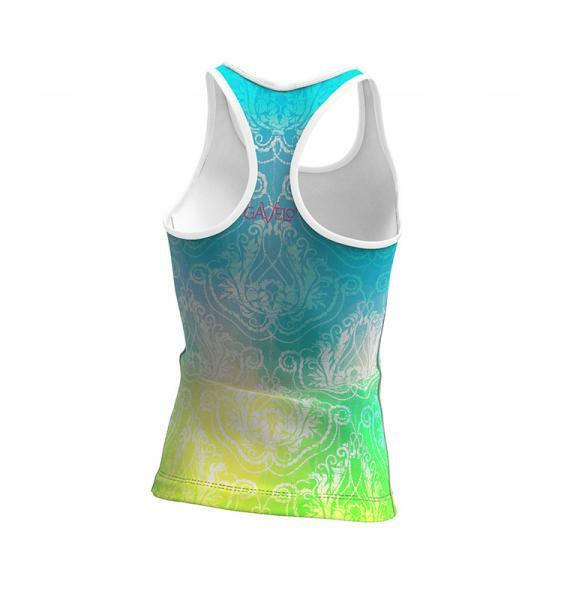 The racerback design allows full range of motion. 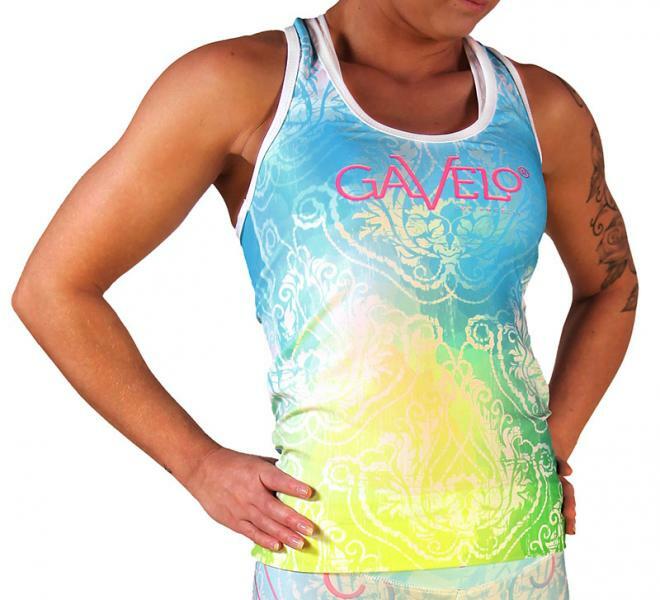 The Gavelo logo in pink on the chest. Why not be extra neat- and wear it together with the Flower-ish tights!